Thank you to everyone who entered the #MyCamino competition. The competition is now closed. 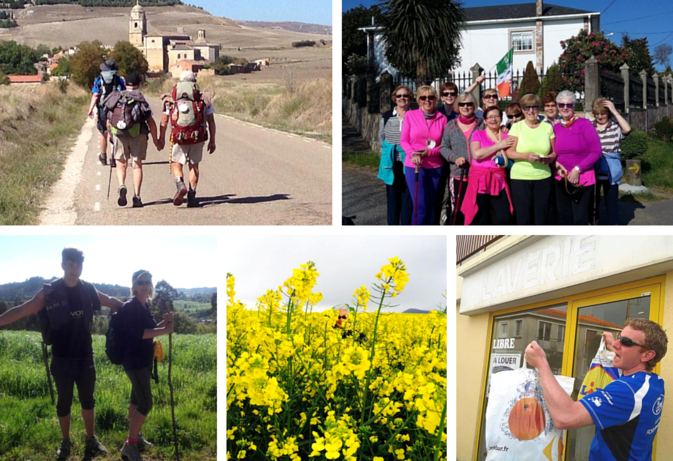 We received some fantastic pictures and memories from all of our fellow Camino walkers and cyclists. Stay tuned for upcoming competitions! For your chance to WIN one of our €100 vouchers off your next Camino trip share your best Camino memories with us. We have been getting some lovely images from your Camino journeys; to see all the wonderful images sent so far far check out the My Camino photo album on the CaminoWays.com Facebook page. You can upload your images to our Facebook page or use the #MyCamino on Twitter to send us your photos. Use the hashtag #MyCamino and tag @caminoways to send us your Camino pictures. Images submitted may be used for advertising purposes or social media profiles of Greenlife Tours Ltd. Winners to be announced on a weekly basis. Prizes are €100 CaminoWays.com vouchers, valid for 12 months, and can be used for any of the Greenlife Tours Ltd. self-guided tours.